Marijuana biotechnology firms can make early investors rich. But if you pick the wrong medical cannabis stock, you could see your investment sink to zero. Which brings us to Insys Therapeutics (NSDQ: INSY). 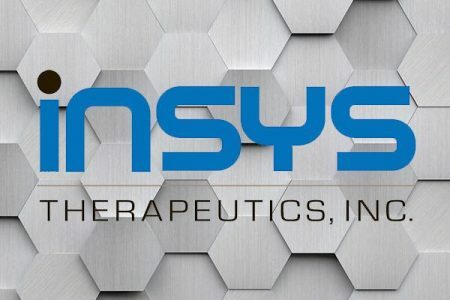 With a market cap of $294.8 million, Insys is yet another in a growing number of biopharmaceutical companies looking into cannabis-based therapies. Will INSY go from investment fad to investment failure? Or will it show staying power? Medical marijuana makers are all the rage on Wall Street. 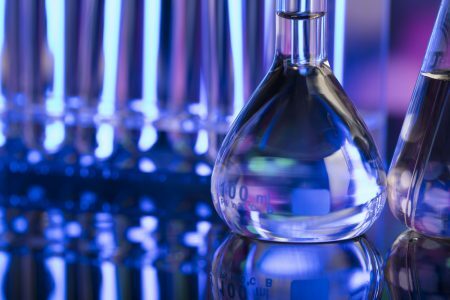 But many of these biopharmaceutical companies often have no drugs on the market, and only have one or a few drugs in the clinical testing phases. That usually implies that they have no revenue and everything depends on these clinical trials. Insys has one advantage in that it has two therapies in the market generating revenue, although that revenue has drastically fallen. So a lot still depends on its research. Our INSY stock prediction will examine the pros and cons of the company, to see what lies ahead for its investors in 2019. Subsys is a fentanyl spray delivered orally and used for cancer pain. Syndros, also taken orally, is a form of dronabinol used to treat chemotherapy-induced nausea and anorexia associated with weight loss in patients with AIDS. In development, Insys has Cannabidiol Oral Solution, which is used to treat pediatric epilepsy and has finished the pediatric study phase. It also has a Phase II-finished study to treat West Syndrome, as well as a Phase II study to treat childhood absence epilepsy. A Phase III study has been completed for its Buprenorphine Sublingual Spray to treat acute pain. Insys is developing three other drugs: The Cannabidiol Oral Solution for Prader Willi, Buprenorphine/Naloxone Sublingual Spray for opioid dependence, and Naloxone Nasal Spray to treat opioid antagonist. Phase II trials test the efficacy of a drug and can last from months to years. They entail several hundred patients in double-blind, randomized trials. That means one group of patients receives the drug while a control group is fed a placebo. Neither the patients nor the researchers know who has received the drug. About 30% of candidates survive Phase II. Phase III studies are also double-blind randomized tests. However, this phase is much more rigorous. It involves hundreds or even thousands of patients and can run for years. This is a comprehensive test of the drug, to examine both efficacy and adverse reactions. Some 70% of candidates complete this phase. How Has Insys Stock Performed? What is Insys’ Stock History? Over the past 12 months, Insys shares have lost 52.6% whereas the S&P 500 has lost 3%. Over the past two years, Insys shares have lost 58.8% whereas the S&P 500 has gained 17.4%. Over the past five years, Insys shares have lost 78% whereas the S&P 500 has gained 47.8%. How Has Insys Performed in 2017/2018? In 2017, Insys shares gained 2% whereas the S&P 500 gained 19.3%. In 2018, Insys shares lost 54% whereas the S&P 500 lost 7.5%. UCB is a European biotch with a huge portfolio of drugs; it’s a big player in the epilepsy market. Its best-selling epilepsy drug is Keppra, which serves the pediatric market in the U.S. and abroad. Keppra treats partial onset seizures in adults and children and can be given orally or intravenously. GlaxoSmithKline (market cap: $96.1 billion) serves the epilepsy market with Lamictal, which is used as an “adjunct medicine,” meaning for patients whose partial seizures are not handled completely by another drug. In studies, 16% to 20% of people who took Lamictal had seizures improve as compared to those who took a placebo. But there was a big failure rate, as many saw no improvement. So while Lamictal works better than other adjuncts in regards to fewer side effects, that 23% number can be improved upon. Insys shareholders are hoping that its medicines improve that number. That’s right, we have another mega-player in the epilepsy market. Pfizer (market cap: $245.4 billion) offers Lyrica, which is indicated in numerous other conditions. The drug is an anti-convulsant and also used as an adjunct. Adjuncts are not a cure. The meds work by either enhancing inhibition or decreasing excitation in neurons. They play with the balance of sodium, potassium, calcium and chloride in cell membranes to alter the electrical signals. Insys and its competitors are looking at how cannabinoids, which generally relax people, might beneficially affect the same or different pathways. The standard risk with clinical stage drug companies is that you are gambling. It’s not gambling in the strictest sense of the word, in that the odds favor the house. But because there are so many ways that a drug trial can get derailed, you are banking on a lot of unknown factors. A great early trial may blow up in Phase III if the efficacy is not statistically different from the placebo or there are major side effects. Meanwhile, investors must worry whether the company can stay in operation during the trials. Trials are expensive. However, Insys enjoys distinct advantages. For starters, it has $112 million in cash and no long term debt. The company’s cash burn has been manageable, at about $67 million in the past year. It also had about $95 million in revenue during the same period. By making deals to obtain managed care reimbursements, educating patients, and beefing up the sales team, the revenue numbers are improving for the drug. Subsys is not some fly-by-night drug. It has a 30% market share among TIRF rivals. Syndros was the third cannabinoid drug approved by the FDA, and it is only now beginning to ramp up. Revenue has been increasing in the mid-double-digit range. The company has been educating patients on cannaboids, and that’s necessary so people don’t think it’s just weed, or snake oil. Insys has a $294.8 million market cap. The market is giving it a valuation of about 3x its cash on hand, and about 3.5x its annual revenue. That’s a reasonable valuation. Insys faces many dangers. First, it only has two years of cash left. Will it complete its current trials before it runs out of cash? If its cash hoard gets depleted, will the company be able to raise more and if so, at what cost? Will Syndros pick up steam in time? Subsys, while maintaining strong market share, is seeing enough of a drop off that the company decided to sell the drug outright (it hasn’t found a buyer yet) and rely on the new sprays it is developing. That’s probably a good move, considering the revenue peak was in 2015. Part of the problem with Subsys is that it’s considered an opioid, which is the demon of the medical industry these days. We predict that Insys will move slightly higher this year. The stock is reasonably valued and there’s upside in the optimism that surrounds cannabis stocks. However, we see marijuana stocks in general dropping as the hype wears off. Insys is likely to get caught in the downdraft. The company’s plan to sell Subsys and its other opioid-centered products is coming at an important time, as competition in medical marijuana heats up and regulators clamp down on opioid abuse. You should know that Insys in late 2018 set aside $150 million to settle a U.S. Department of Justice case involving the company’s alleged bribing of doctors and nurses to prescribe Subsys. The adverse publicity has not helped the company. If the feds ramp up the pressure on Insys for its supposed kickback scheme, all bets are off for investors.